A blog about software development best practices, how-tos, and tips from practitioners. Salesforce is a top-rated Customer Relationship Management tool. You can implement this CRM solution to support in empowering sales, closing more deals and enhancing your accuracy. While being a great investment for customer management, Salesforce also plays a vital role in deriving more value from the workforce and increase productivity. Businesses of all sizes can benefit from the modern cloud-based solution that can greatly increase team productivity, promote collaboration between employees, create a positive customer experience, and support to turn leads into clients. No matter how productive your workforce is, there are always opportunities that help you to make it more efficient. One of the best ways to achieve this is by integrating Salesforce with other effective tools. But with 300+ apps, how do you find which are the best applications for your team’s requirement? 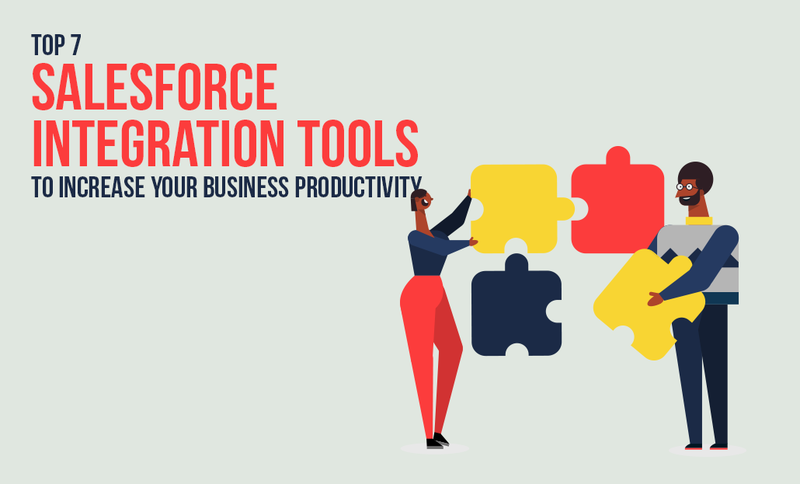 To get you started, this blog created a list of Salesforce integration tools that will be sure to boost your team’s productivity. Each enterprise has unique requirements, and the software they use works differently. They are designed in different languages and possess their customized business logic, data storage, security, and visual representation. This is where Salesforce integration solution comes in. Salesforce integration establishes and handles seamless communication between Salesforce CRM and other apps, using the API. Appropriate Salesforce Integration enables adequate access as well as analysis of data. It further supports managers and directors at each stage to make powerful decisions. Every business should emphasize the efficient integration system as it is an asset and includes the power of producing maximum advantages. Quip, a mobile first and modern productivity suite that comprises all the relevant features as team chats, spreadsheets, and documentation under one roof. As such, it facilitates your team to complete more work with greater collaboration. 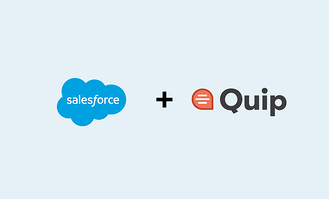 Quip Salesforce integration provides an environment that is interactive, connected and collaborative. As a result, processes are completed with lesser email, fewer meetings and more opportunities for growth to fulfill the increased demands of customers. Large banks, Fortune 100 companies, and tech companies have already standardized their productivity with the Quip Salesforce integration. Thereby Salesforce customers create more opportunities as well as take better decisions. In addition, Quip ensures a better report analysis for deeper understanding and supports in sharing remarkable real-time details in sales Meetups. If you are using Gmail for business and Salesforce for CRM, then you can be more productive by integrating these digital tools together. Salesforce users use CRM to manage customer data, activity, workflow, reporting and exchanging data with a third-party system like marketing platforms to support related activities. But, users are forced to spend more time outside the CRM with Gmail – the hub of communication activity. 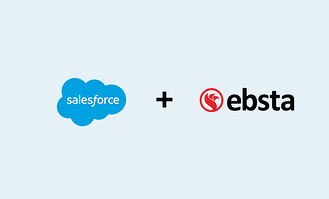 Ebsta bridges the gap between Gmail and Salesforce. You can integrate Gmail and Google Calendar using Ebsta and use Salesforce email templates, track email opens and create follow up tasks. In addition, connecting your Google Calendar ensures automatic sync of events with the Salesforce calendar. Meeting scheduler, scheduled email delivery, and building personalized workflows are a few of the things that can be done with Salesforce Gmail extension. If your Salesforce implementation is not integrated with a strong contract management platform, you are not utilizing the broad benefits of either system. With Icertis Salesforce Integration, your team can build, view, approve as well as collaborate on contracts within the Salesforce to accelerate contract flow, improve productivity and propel your business ahead. Moreover, it increases sales as it frees the sales users from additional administrative burdens. Users can create contract requests using Salesforce objects, track contract status updates & its progress, and handle end-to-end contract lifecycle without leaving Salesforce. 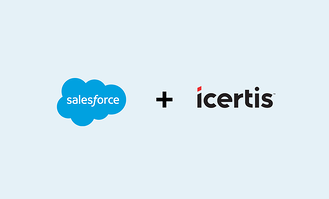 Seamless integration of Icertis Contract Management with Salesforce aids you in accelerating, protecting and optimizing commercial activities. Thereby you can increase the efficiency of contract processing, maximize revenue, reduce risks and control costs. Email your leads, and contacts with a personalized template, trail their engagement and explore what works well, all within Salesforce CRM. 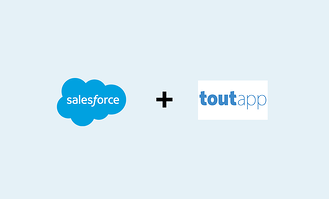 ToutApp Salesforce integration functions as a sales productivity tool that support users to generate emails faster and follow-up on promotional emails. This tool aids lead nurturing, which enables sales reps to send the right content to the right prospects at the right time. Its built-in phone and dialer system allow users to call a prospect or contact directly from the Salesforce platform. This email and marketing tracking tool allow you to prioritize your tasks, enhance your content and supports to convert leads. Customers today not only demand real-time support but also real-time feedback. A recent Salesforce report highlights that 80% of the buyers expect enterprises to respond as well as interact with them in real-time. Of course, Salesforce Chat enables your support team to offer effective real-time chat support, but the support team should also figure out how customers observe this interaction to measure the key performance metrics like customer effort and course modification when a customer is unsatisfied. The Getfeedback Salesforce integration can allow you to obtain real-time customer feedback through branded surveys, which pop up directly in your Salesforce Chat window. It makes customer responses in context and push into Salesforce, which yield actionable insights and boost productivity. Efficient Salesforce data maintenance and updating offer better productivity and meaningful insights. 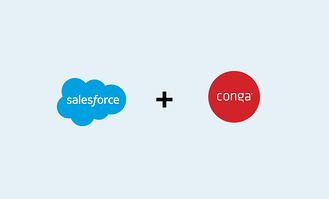 Integrating Conga composer with Salesforce CRM simplifies document generation, reporting, and delivery. This app makes the process of document creation, presentation, and reports in PowerPoint, Word, HTML email, & Excel as simple as possible. Moreover, Conga app is compatible with Sales Cloud, Salesforce 1, Service Cloud, and Lightning. With this Salesforce integration app, you can do all your work from one platform – thus spend less time updating the Salesforce API and more time on your core activities. Gridbuddy enables you to configure charts and grids to offer users with a single view so they can handle the entire data they require in a single dashboard. This app ensures Excel-like create, update and edit operations across multiple objects. Its spreadsheet-like workspace allows you to update data in Salesforce fast and easy. You can configure grids from any process and personalize for any user. The inline editing, bulk actions, and mass update aids to update extensive records in minutes. GridBuddy Salesforce integration app increases productivity as it reduces boundless page loads and clicks. With this app, you can use editable grids, develop tabbed workspace without any code, or embed grids on record detail pages. Productivity is not about completing a task in the shortest amount of time, but about managing your time effectively. Making small changes in the current business practices will significantly boost the levels of productivity and workforce efficiency of your business. Integrate these powerful apps with your Salesforce CRM to save on time and attain predefined goals efficiently. Like what you just read? Get Latest content delivered straight to your inbox. AI and IoT Blended - What It Is and Why It Matters?